Different makes and models of automobiles are designed to have unique shapes and sizes. This also relates to the auto glass that covers them. If your car incurs damages which may include the vehicle’s windshield/auto glass parts, then you’ll need a reliable auto glass service that is performed by experienced professionals. Marietta Autoglass is the professional that you need to coordinate with! We provide a windscreen replacement quote for you to make financial assessments after. We can serve you in two ways: 1) in our local service repair shop, and 2) through our mobile repair service. Product replacement quality is assured and you’ll also get a lifetime warranty in the process. Considering the amount of auto glass products we have in our inventory and what we have access to through out local third-party partners, repairing or replacing a windshield is no hurdle for us. Perhaps you’ve already been our customer once or one of our local competitors; whether you’ve received OEM parts or custom glass installation, you can count on our technicians to deliver quality work in a timely manner. All our products, be it OEM or custom auto glass, are made of top quality materials, so you can be assured that it will last you a lifetime. In fact, we guarantee it! 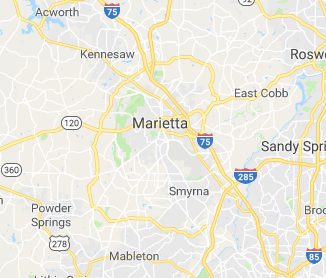 There are a lot of car owners in Marietta City, GA who can attest to our excellent service, and you can depend on us to deliver the same level of professional courtesy to you. Sometimes windshield damage can become a threat to your life as well as to others on the road. If you decide to continue driving your car under such conditions, it is a danger waiting to occur. In fact, it is illegal to drive around Marietta City with a severely damaged windshield. Of course, you could just call a towing service to tow your car to our repair shop. However, if you really need your car at home due to some circumstance that demands our immediate attention, then you can request us to deliver our mobile service to your home or a location of your preference instead. Our technicians, equipment, and auto glass replacement materials in our mobile repair unit bear the same quality and efficiency that you would receive if you take your vehicle into our service repair shop. You can be rest assured that you’re not getting anything less than the best from us. Marietta Autoglass is owned and operated by a local proprietor. Our auto glass repair services are among the best in Marietta City and the general Georgia area. We are proud to serve you - the people of Marietta City – for over a decade now, and we will continue to do so for years to come. We are the go-to local windshield repair for the town’s folk, and we’ve fixed all kinds of windshield and auto glass damage for years. If the need arises to have that damaged windshield on your car repaired or replaced, then give us a call and a Marietta Autoglass professional will answer and consult you in regard to all your questions.